2018 was a down year for sales of Windsor-built Chrysler vehicles in Canada. 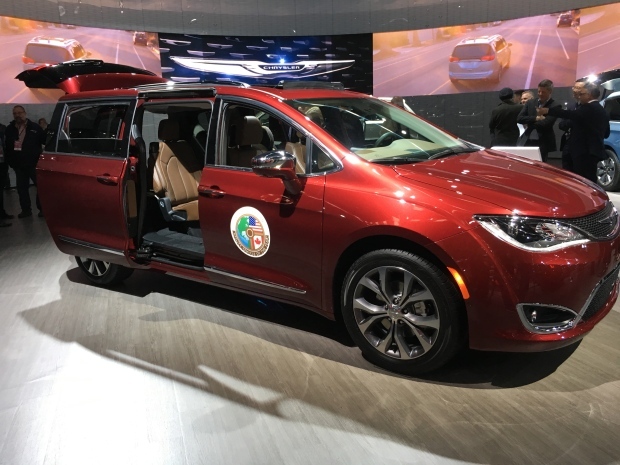 Stats from Fiat Chrysler Automobiles show 5,999 Pacifica’s sold across the country in 2018. That is down three per cent from 2017 when 6,185 of the vehicles were sold. In the month of December alone, FCA sold 205 Pacifica’s. That represents a 68 per cent drop from December 2017 when 638 Pacifica’s were purchased. Sales of the Dodge Grand Caravan in Canada also dropped. 1,661 of the Caravans sold in December 2018, down 49 per cent from 3,283 sales for the same month in 2017. Year over year, 32,253 Caravans were sold in 2018. That is a 31 per cent drop from the 46,933 vehicles sold in 2017. The Jeep Wrangler and Compass posted solid sales figures in 2018, but overall FCA saw a sales drop of 16 per cent in Canada in 2018.